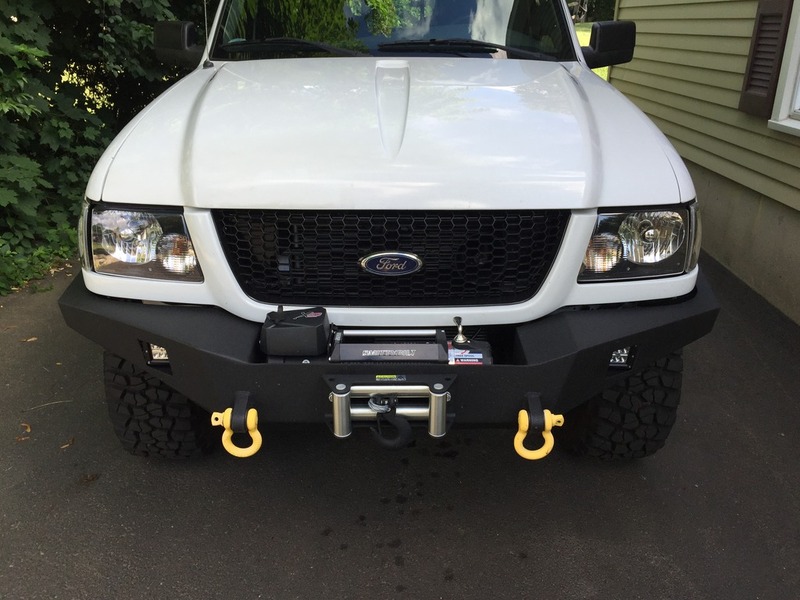 Bumper (professionally built), lights (18w LED cubes), shackles, shackle isolators, winch (Smitybilt 9500lbs) (mounted, but never used it) all included in the deal. Professionally bed lined. Only thing is that it was built for a body lifted truck unless you feel like modifying it. It's a nice tight fit to the front of the truck and utilizes multiple mounting places on the frame. Asking $1,100. Located in CT. Local pick up only. Last edited by Ranger4.0XLT; 07-05-2015 at 10:42 PM. 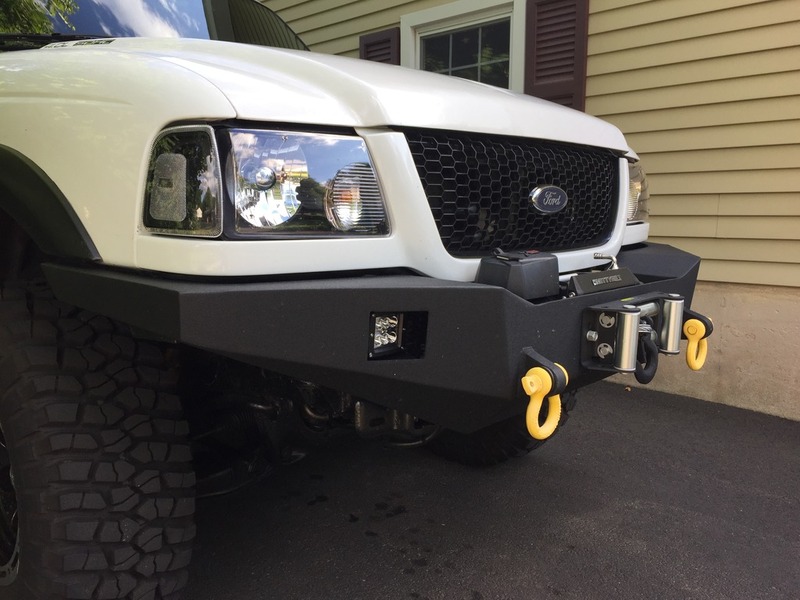 Quick Reply: For Sale: Custom winch bumper.